In the automotive world, a strong brand helps sell cars – and selling thousands of them means there’s lots of money to be made. If the brand’s prestige is a fundamental reason why people buy those cars, then diluting it risks decades of marketing investment. Audi attaches its famous four-ringed moniker to a broad spectrum of cars that includes the A8 luxury limousine, the smart Q8 SUV, the white-knuckle quick R8 sports car and on this, its smallest offering, the Audi A1 Sportback. When Audi’s brand-entry pup first debuted in 2010, it ensured there was no brand dilution by bestowing it with fashionably good looks and a smart, upmarket interior. Of course, underneath it was based on the Volkswagen Polo and SEAT Ibiza, but to admiring onlookers and owners alike, there was no question that the A1 was indeed a ‘proper’ Audi. 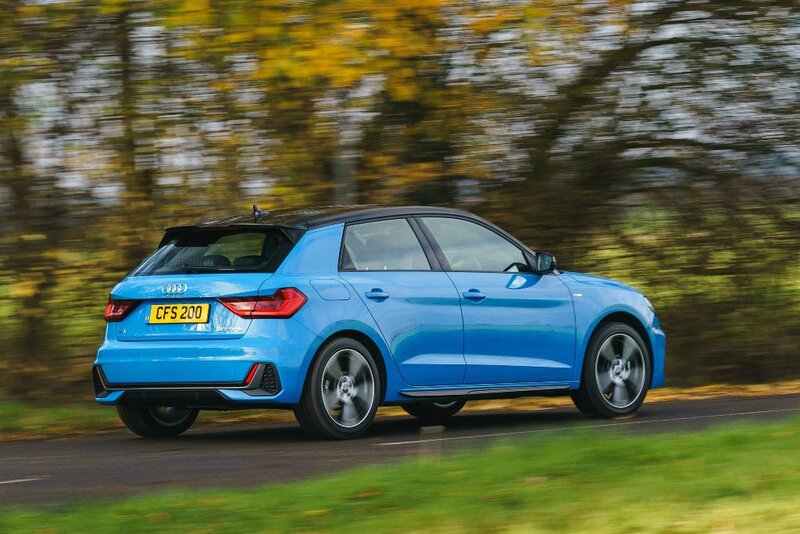 Nine years on and it’s time to see if Audi can pull off the same trick again with this second generation A1, which continues to be based on Polo underpinnings. 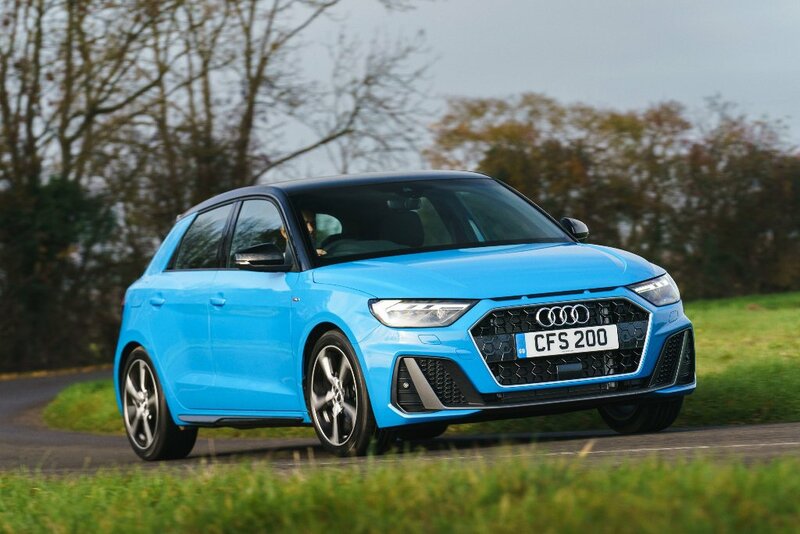 It begs the question: Is the Audi A1 still upmarket enough to justify spending more for it than many of its rivals? 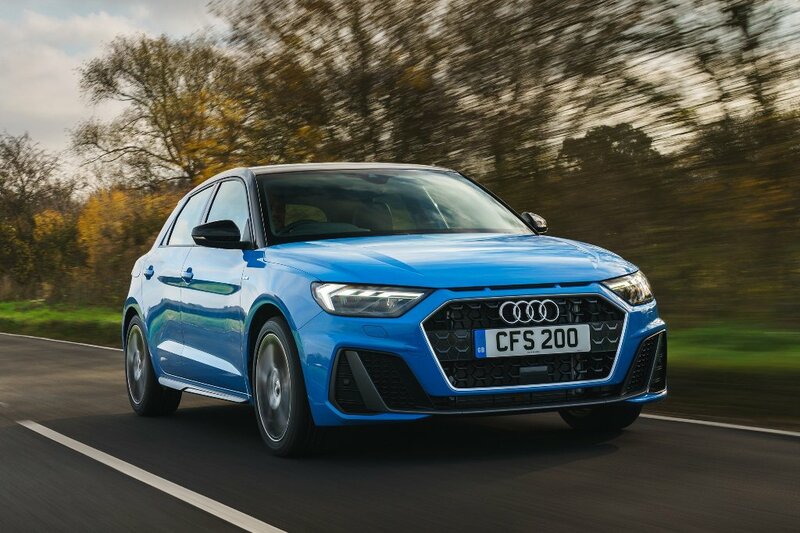 While the original A1 offered a more rounded form, the new model – now 56mm longer – has given way to more chiselled and sculptured lines, with deliberate homage afforded to iconic models from Audi's past – particularly the Quattro rally cars that so brutally carved the brand's reputation in motorsport. Style touches include sharp feature lines pressed into the bonnet and distinctive shoulders above the front and rear wheel arches; contours that provide a visual link to models such as the Audi A5 Coupe and Audi Q8 SUV, showing that premium touches aren't just confined to the more expensive end of the Audi range. Following the trend away from three-door hatchbacks, today’s Audi A1 is offered in five-door Sportback form only. That is unlikely to be bad news for many, and it makes for a far more practical family choice, with easy access to an interior that's more spacious than in the original model thanks to the extra length. 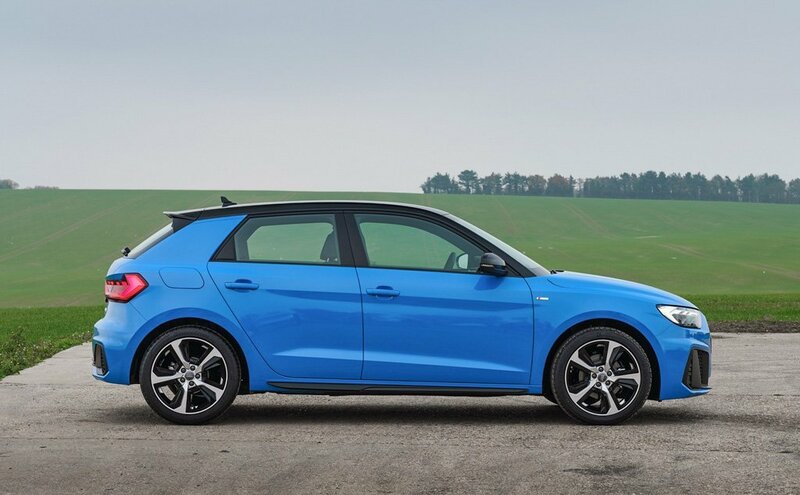 The new A1 Sportback is available in a choice of ten colours which, as an option, can be combined with a contrasting roof colour. While the latest A1's exterior is sharper and sportier than its first iteration from 2010, it's the interior treatment that has welcomingly received the interior design team’s fullest attention. 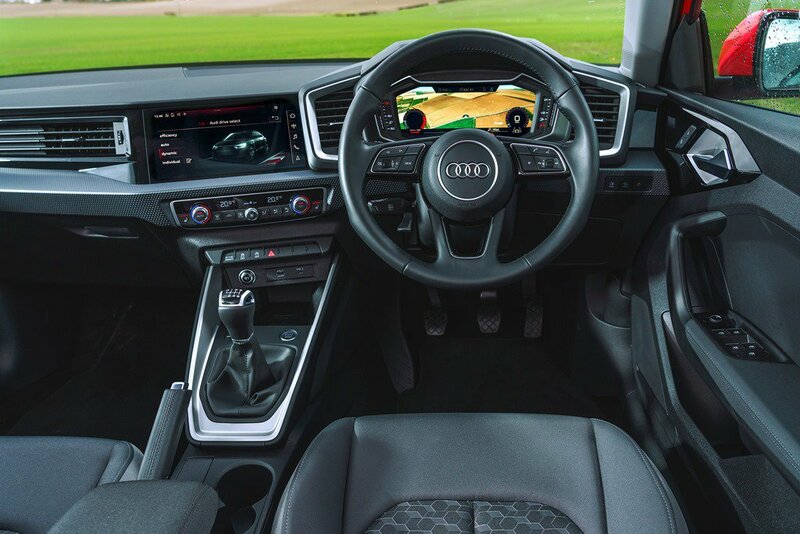 It has pretty much nothing in common with the first A1 and totally embraces cutting-edge automotive technology to the extent that even the range-entry SE has a fully digital instrument cluster. The new driver-centric dashboard wraps around the driving seat, putting you right in the centre of the action. However, if the standard black and grey dashboard is a tad too drab for your liking, you can colour code the air vent surrounds, door handles and gear selector to coordinate with the more adventurous upholstery choices in the A1 colour and trim catalogue. The biggest advantage of the A1's noticeable growth spurt is that it's now much more comfortable inside. 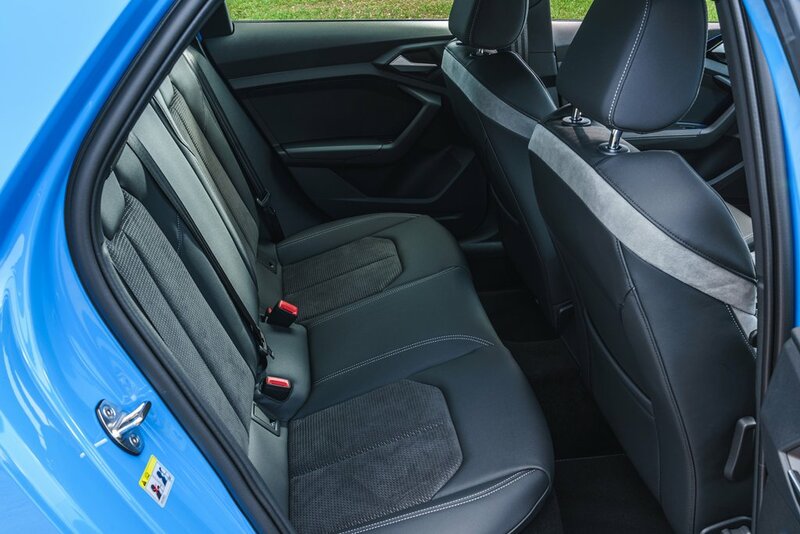 The driver, front passenger and particularly those in the back seats should feel more relaxed on long journeys with no more scuffed knees and flattened hair. Here again we see a practical benefit of the car’s extra length as luggage space has dramatically increased by 65 litres to 335. 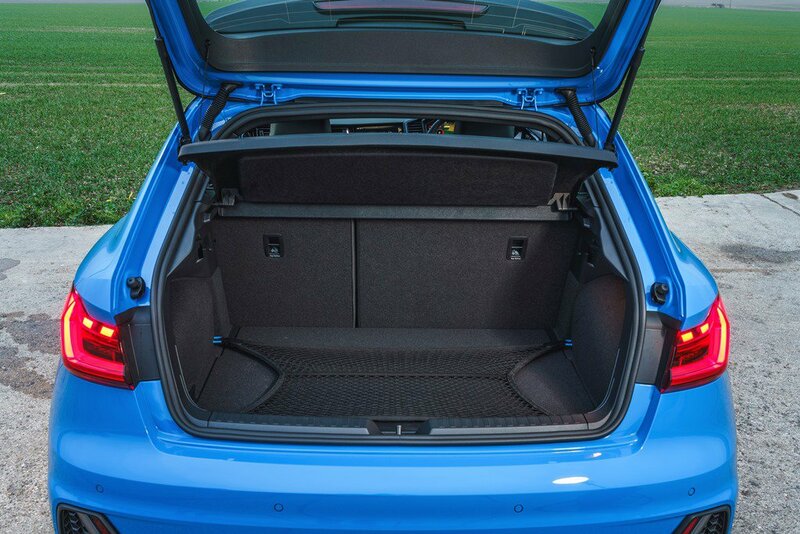 Fold down the rear seats for extra room on those festival camping jaunts and there's now 1,090 litres of room. At just 67mm off the tarmac, Audi has also made the loading lip lower to make lifting heavy items less of a strain. 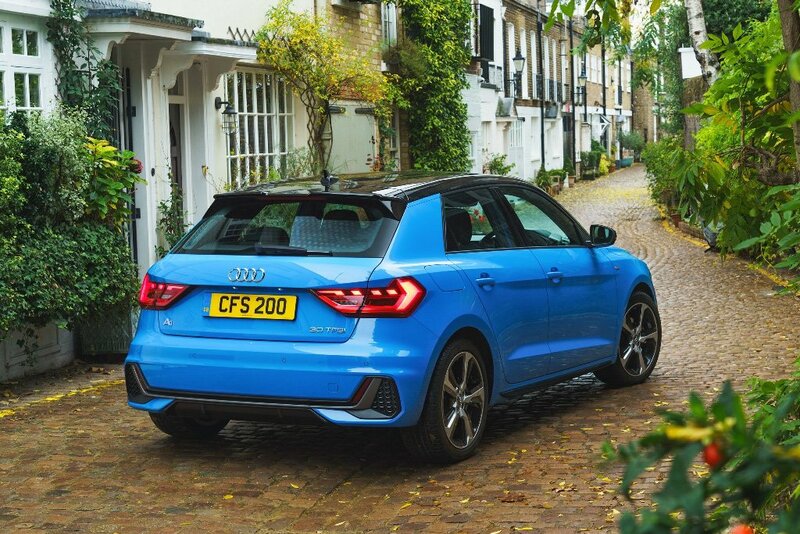 The new Audi A1 is currently available in three familiar trims of SE, Sport and S Line. In addition, there are three spin-off trims based on the S Line spec called Competition, Contrast Edition and Style Edition. The range-entry SE has a high level of standard equipment which includes 15-inch alloy wheels, as well as LED front and rear lights that include a signature 'sweeping' indicator animation. 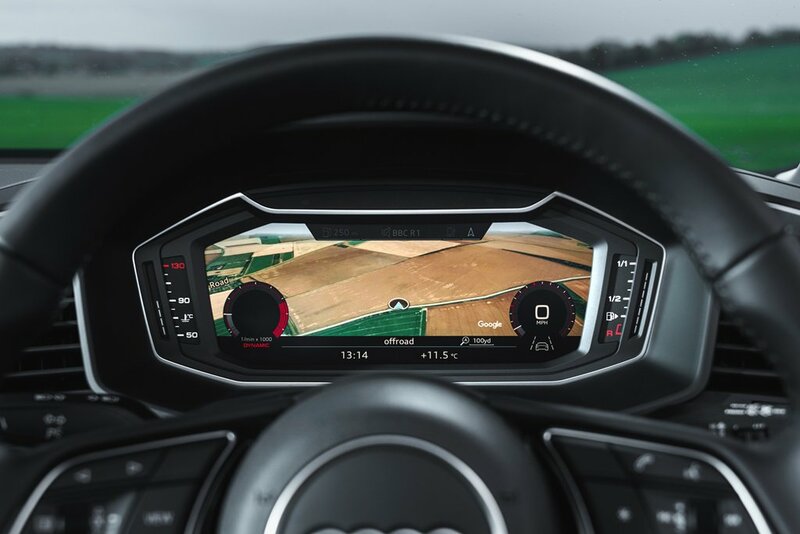 There's an 8.8-inch infotainment screen that controls the DAB radio and Audi's smartphone integration system – this incorporates Android Auto and Apple CarPlay. Autonomous emergency braking (AEB) is standard and incorporates ‘Audi Pre-Safe’, a system that can recognise hazards ahead, even in foggy conditions. There's also lane departure warning and a speed limiter as standard. The Sport comes with larger 16-inch alloy wheels and sports seats, while the S Line has a racier setup with firmer suspension and a muscular-looking body kit. The S Line Style Edition boasts wheels and Audi logos in a distinctive bronze finish, while the S Line Contrast Edition comes in an even more eye-catching metallic yellow, with black badges and wheels. Sportiest of all is the S Line Competition, a package only offered with the 40 TFSI engine. It adds adjustable suspension dampers and red brake calipers. 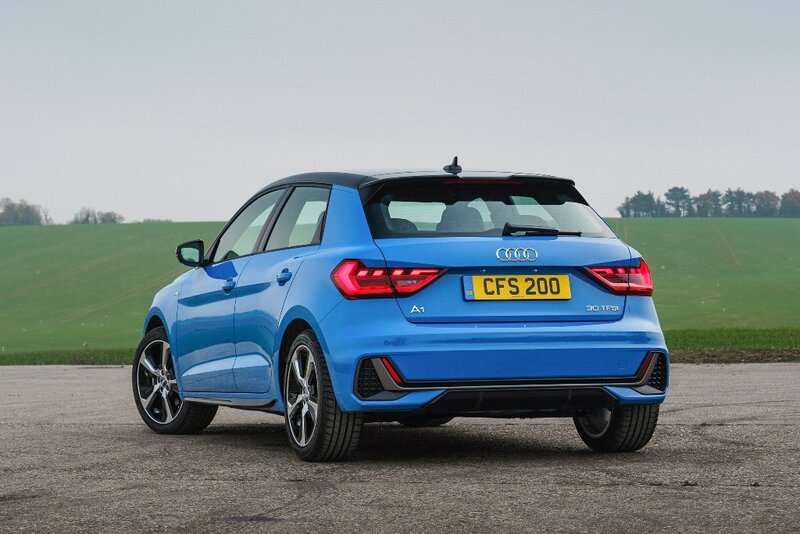 Audi A1 Sportback power comes from four turbocharged TFSI petrol engines – no diesel, hybrid or electric versions are available…at least for the time being. A choice of six-speed manual or dual-clutch S Tronic automatic gearboxes is also available. Confusingly, Audi's present badging policy bears no relationship to engine size. The range kicks off with the '25’ derivative, which has a 1.0-litre three cylinder unit offering 95hp. Next up is the '30’ variant, which uses a 116hp version of the same engine. 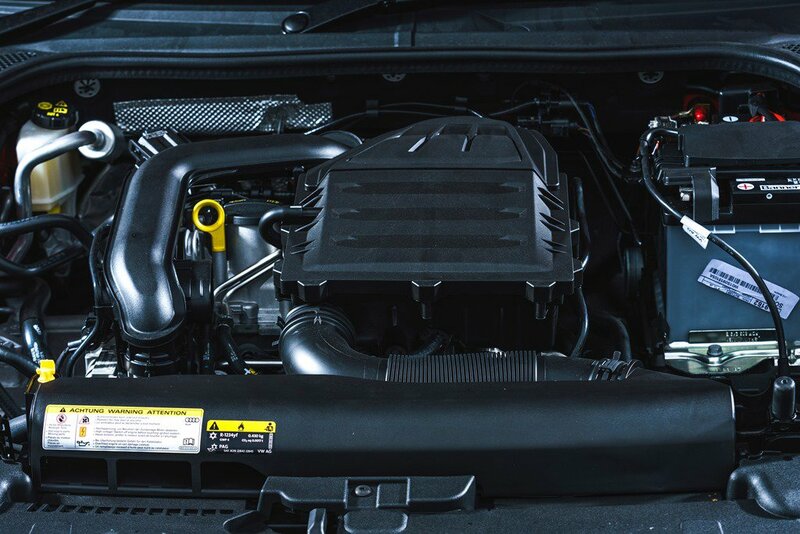 A further step up the engine range sees the ‘35’ model with its 150hp from a 1.5-litre four-cylinder engine which uses a cylinder on demand technology. I have yet to drive the 95hp ‘25’ model, but the test car that Audi UK press office sent me was the ‘30’ six-speed manual version with the peppy 115hp engine…and my word, it’s a frisky little thing! It piles on a generous amount of shove from around 2,000rpm and has a real keenness to keep pulling all the way to its 6k+ rpm limiter and sounds marvellous while doing so, too! If more power is needed, there's a '40’ model which uses a 2.0-litre engine with 200hp. However, this is only offered on the S Line Competition and is paired with a six-speed S Tronic transmission as standard. Like its Polo and Ibiza siblings, the Audi A1 is a very tidy car to drive. Its steering is nicely judged: light around town, but with enough weight thrown in at higher speeds. Those virtues are backed up by enough accuracy to allow you to place the car exactly where you want on a meandering B-road. If the bends tighten up and you maintain a spirited pace, you’ll find a slight tendency for the car to lean in corners, but it's comparatively minor and there's plenty of grip on offer. In fact, the A1 hangs on determinedly until you reach its limit of adhesion, whereupon it lets go progressively and gently runs wide. Simply back off the accelerator and it’ll tighten its line accordingly. The A1 does a good job of delivering peace and harmony on the move. At 70mph in top gear, I was hard pressed to hear the three-pot 115hp engine at all. Of course, you can hear some road and wind noise, but there’s not enough of either to irritate or tire on a long drive. During the test week, a 540-mile round trip to Cheshire was made to attend the new Range Rover Evoque media launch, but the entire week culminated with 680 highly enjoyable miles driven. The average speed registered 39mph, with 60.5mpg the average consumption. Total drive time for the week was a comfortable and relaxed 17.5 hours – the most I’ve done in a test car for quite some time. Safety is in keeping with the Audi ethos of offering big car kit in the small A1 package. There's active safety technology to help reduce stress and minimise danger, especially on long and tiring motorway drives. Reliability shouldn’t be an issue either, thanks to plenty of shared engines across the VAG group and a decent track record for the original A1. 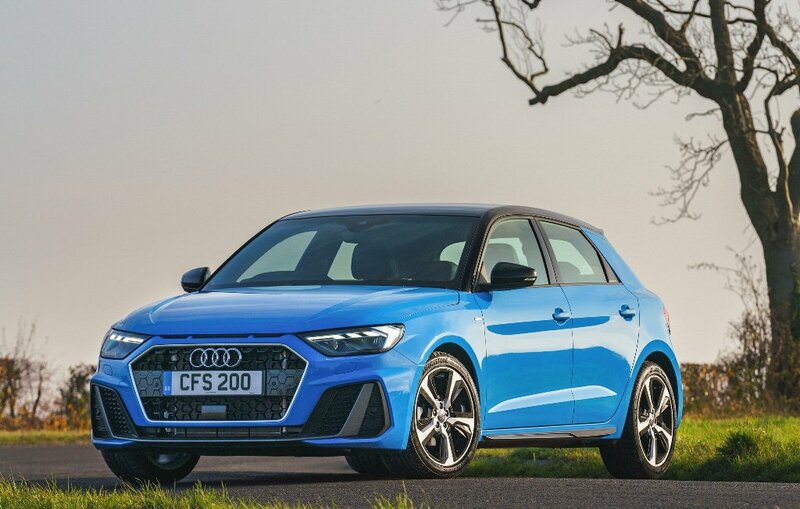 The 2019 Audi A1 makes a more compelling case for itself than ever before, with useful gains in practicality, the promise of high residuals and low running costs. The fabulous three-pot, 1.0-litre engine under the bonnet of the test car along with the manual box was a gem pairing and, clad in Sport trim, would be my pick of the range. It looks great inside and out which is all that will matter to a large percentage of buyers in the market for the best premium supermini their money will buy. ‘Yes’ be the answer to the question. 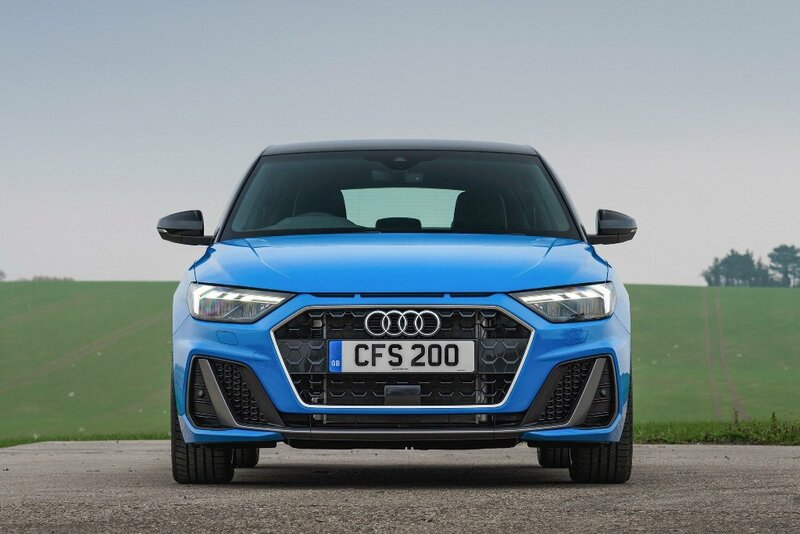 Browse our latest top leasing deals on the new Audi A1 Sportback.